Game On Adelaide: A Weekend of Food and Wine – These Two Eyes! 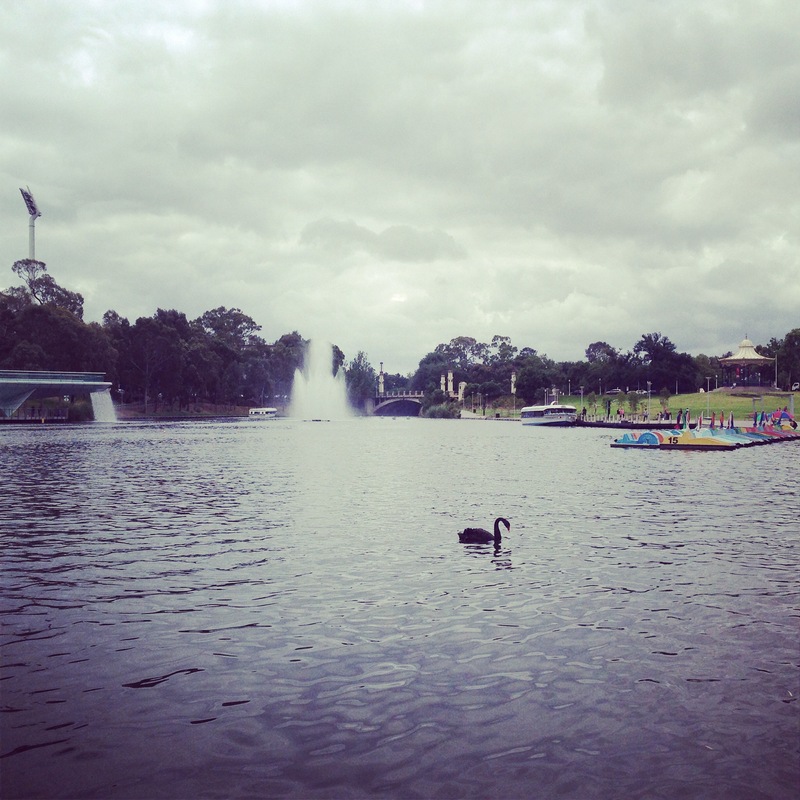 Adelaide’s pretty rad – and there’s more to it than the mocking nickname of ‘Rad-elaide’. Ever since I first visited in 2011 I’ve stood behind its defense, but even more so now that I’ve learnt on my most recent visit that is has made a conscious effort to play cultural hard ball. This trip no doubt contained another visit to the Barossa Valley disguised behind a work-related conference held at the Adelaide Convention Center. With the Intercontinental, albeit a bit dated, in a prime location overlooking the Adelaide Oval and the beautiful running tracks along the River Torrens, I was already set up to achieve great sights. Upon arriving I gave my friend a tour of the small city. We started along North Terrace beside University of Adelaide’s beautiful 19th century sandstone buildings, a contrast against the neighboring modern architecture of its newer lecture halls. Looping around at Rundle Park took us onto Rundle Street, home to boutiques, cafes, pubs and assortment of restaurants. For a sunny Friday afternoon we stopped off in the Belgian Beer Café and historic pub the Austral for a few pints to start the holiday off. Rundle Street turns into Rundle Mall where you can find most of your common name brand stores like Meyer, Sports Girl, JB Hi-Fi and the likes. Most famously on the corner of Rundle Mall and Hindley Street sits Australia’s oldest family owned chocolate maker, Haigh’s Chocolates. My perception of Adelaide was turned upside down when I discovered Peel Street later that evening. Here sits the latest note-worthy restaurant in the city with the same name, Peel Street, and it’s a must stop off (restaurant bookings required). The closest thing Adelaide has in comparison to big sister Melbourne, this small laneway has a splattering of hip bars and underground cocktail lounges to make any local feel privileged thanks to the new small venue license recently instated to help entrepreneurs bring a new vibe to the CBD. Highlights include Clever Little Tailor, a tiny bar offering a variety of top notch spirits and hand crafted beers set against the original exposed brick and structure. Next door, dine at Bread and Bone Wood Grill for a quick and fancy burger or dog. They really are all the rage but we went a bit rogue by ordering the fish and pork belly, both also to be admired. The waiter kindly offered us entry into the cocktail lounge downstairs, Maybe Mae, where I felt as if I entered some secret world found only in the 1920s, green leather booths, plush carpet and drinks served in crystal. One more stop across the street at Mexican inspired Chihuahua Bar for a wine and a lovely chat with the want to be rock star spun bartender before calling it a night as we had a full day of wine touring ahead of us. Since I’ve made my rounds in the world-renowned Barossa Valley previously, this time the goal was to visit boutique wineries in a small group to uncover the greatest Shiraz presented to me. Cellar Door Wine Tours asked in advance where we wanted to visit and hand crafted the itinerary amongst all the guests’ top picks. Murray Street Vineyards was the perfect first stop, as we tasted while sitting around a square table so that all 10 guests had the opportunity to get to know each other. It was refreshing to be greeted by a young host, as Ryan was enthusiastic and knowledgeable, specifically as he demonstrated double aeration. I wanted to walk away with the Gomersal Estate 2010 Shiraz but was nervous to purchase any wine too early in the day– my greatest regret for sure. Maggie Beer is a gourmet food brand well known by dinner party hosts and the like. The beautiful shop sits on top of an aqua green lake making it a fantastic picnic spot. The best part about the small shop is there is something to taste in nearly every nook and cranny – from fig paste to pate to cider and caramel topping. I spent my time devouring enough homemade bread dipped in olive oil and damper to hold me over until lunch. I also took note of the cooking school that could be a good excuse to come back. Penfolds was my biggest disappointment of the day. While this isn’t boutique in anyone’s mind, it was a special request from another guest. Honestly, what they offer on tasting is the same as what you can buy in the liquor store and it was only the Tawny I was tempted to buy until I found out that too is distributed in my local bottle shop. Chateau Yaldara and Café Y is where we stopped for both a tasting and lunch. I wasn’t too impressed with their wines except their sparkling Shiraz and while you shouldn’t judge a book by its cover, I definitely would recommend they undergo a branding exercise for their labeling. Luckily the family-owned cafe made up for it with lunch that was described to us by the son in the most intimate detail and while I’m not much of a pasta lover I couldn’t resist the duck ravioli. Rockford Wines interestingly do their tastings in an old horse stable making it a unique atmosphere for the much anticipated tasting. This winery was our tradeoff for Grant Burge (the one we asked to visit) being too busy. I found the pourer entertaining as he reminded us of Murray from Flight of the Concords so I walked away with a bottle of their Tawny as a Christmas present for my hosts. Turkey Flat is one of the oldest boutique vineyards in the region. I was sold on a bottle of the now-sold-out 2012 Cabernet as the wine maker was both very chatty and informative, reminding us that 2010 and 2012 were the good years for grapes after the drought. I also couldn’t resist buying the cheeky fortified NV Pedro Ximenez too. The biggest surprise from the day was the amount of cabernet sauvignon coming out of the Barossa Valley. I truly didn’t expect it and while I didn’t find a long lasting lover in Shiraz to take home, it did make me have a deep think about how much my taste buds have changed as of late. 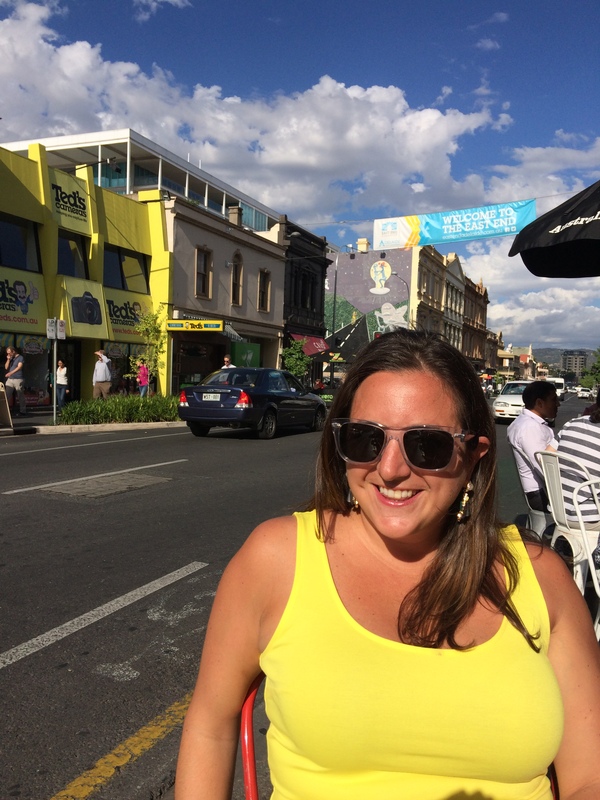 Back in Adelaide central, one more spot not to miss is the Gouger Street restaurants and the Adelaide Central Market. My absolute, hands down, no questions asked top notch visit was to Cork Wine Café who specialize in organic and biodynamic wines from all over the world. I melted over the La Distesa 2013 ‘Terra Silvate’ Verdicchio and Architects of Wine 2013 Chardonnay. As they do tasting flights, with quite generous pours mind you, it was easy to fall into place here for a few hours. With so many restaurants to choose from on Gouger Street, primarily deriving from Asian influence, it was hard to choose. Thankfully the staff from Cork Wine recommended the two best places (and most sought after as we couldn’t get a table until 9 pm so book ahead) on the strip including Little NNQ and Concubine. For a quick weekend of social activities before putting on my work hat we sure managed to cover a lot of ground, including Jamie Oliver’s latest wave to hit Adelaide Jamie’s Italian. But Adelaide, you’re still missing one key element before you can truly reach your cultural trophy and that is – what’s open for breakfast? So glad to hear you enjoyed your visit to the Barossa Valley – and your experience with us in Cellar Door of course! Loved reading your article, planning a good scan through of the rest of your blog later this afternoon. Keep the good things coming! Hi Emily, thanks so much! I’ll be sharing the cab sauv with my family in America next week! I look forward to stopping by again next time I’m in the Barossa.